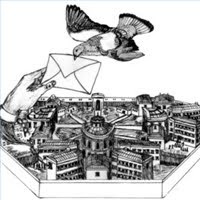 SubRosa - a community space: Really Free Market/ A Show!/ Letters to Prisoners/ HUFF/ Open Hours & More! 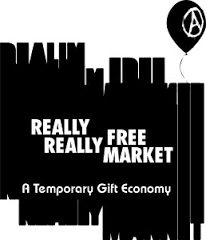 Really Free Market/ A Show!/ Letters to Prisoners/ HUFF/ Open Hours & More! The biggest queer dance party of the end of summer! A benefit for SubRosa. Stay tuned for more info! and other goings on in town! The Walk for the Ancestors is a 650-mile pilgrimage to each of the 21 California Missions, to honor the Indigenous ancestors who suffered and perished in the Mission system and assert California Indian rejection of sainthood for Junipero Serra. Please join us this Saturday to welcome the walkers and to hold prayerful space for the ancestors. Tataviam descendants Caroline Ward Holland and Kagen Holland began walking on September 7th at Mission Solano in Sonoma, CA and the walk is set to conclude sometime in late October at Mission San Diego. At each Mission, the walkers will join with representatives of local tribes and all those who come to stand with them. Words, stories and prayers will be shared, and a moment of silence will be observed at the mass grave sites of the ancestors. After Saturday's gathering is concluded, the walkers will set off eastward towards San Juan Bautista. ***Everyone is invited to walk with us. *** Please RSVP to walkfortheancestors@gmail.com if you'd like to join the walk on Saturday, or if you can volunteer to drive a support vehicle. "We are walking to honor our ancestors, at this time right now, when they're being so totally disrespected. We don't want to forget, and we're not going to forget. Until we make things right."